Spike TV announced that Bar Rescue will have 30 new episodes for the 5th season of the show in addition to 10 more "Back to the Bar" specials. The fifth season actually starts on August 7th, so the end of the fourth season and beginning of the fifth season are on in back-to-back weeks. Spike TV also revealed that Bar Rescue's Jon Taffer will film a late night talk show pilot on the channel, however details about the show or when it will air have not been announced. 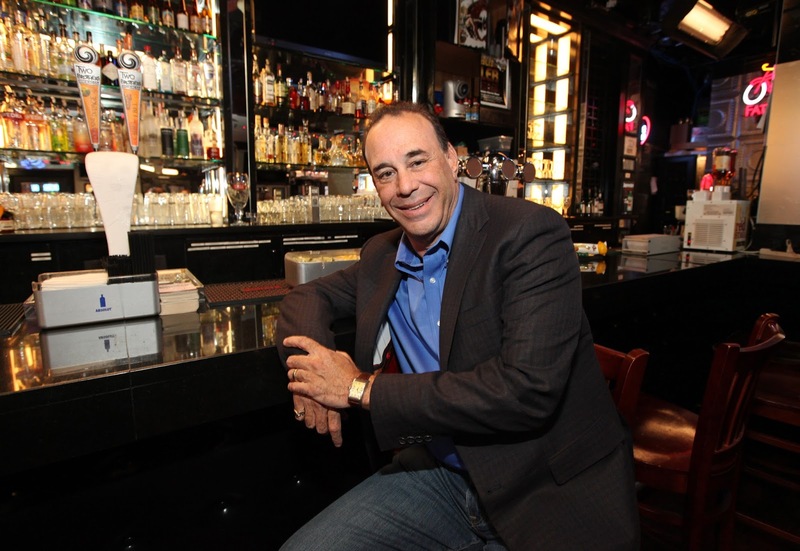 New York, NY, July 27, 2016 – Spike has greenlit 30 episodes of “Bar Rescue” for the fifth season of the network’s popular original series, in addition to ordering 10 more “Back to the Bar” specials and an untitled, late night talk show pilot from “Bar Rescue” star, renowned bar and nightlife expert Jon Taffer. The series and pilot are produced by 3 Ball Entertainment (“Extreme Weight Loss,” “My Cat From Hell”) and executive produced by Jon Taffer. The fifth season of “Bar Rescue” will debut on August 7 at 9pm ET/PT, with the additional “Back to the Bar” specials airing throughout the “Bar Rescue” run of original episodes on Sunday nights. “Bar Rescue” follows Taffer across the country as he utilizes 30 plus years of experience in the restaurant, bar and nightclub business to help give failing establishments one last chance to transform themselves into profitable businesses. The fifth season will take Taffer to bars in Las Vegas, San Francisco, Palm Springs, Seattle, and additional cities across America. The additional installments of the successful “Back to the Bar” specials will continue to revisit infamous bars from the series’ past. In the newest iteration of these “where are they now” specials, Jon Taffer and a studio audience celebrate the most memorable “Bar Rescue” personalities and relive classic “Bar Rescue” moments. “Back to the Bar” also features new, never before seen footage of Taffer’s experts checking back in at previously rescued bars, and revisits tense confrontations between Taffer and well-remembered owners. As part of its first-look agreement with Jon Taffer, Spike has ordered a late night talk show pilot also to be produced by 3 Ball Entertainment. For additional information about “Bar Rescue,” fans can log onto barrescue.spike.com to view full episodes, check out before and after photo galleries of the rescued bars, and watch video previews of new episodes. Fans can also get updates via Twitter @Spike and/or the @BarRescue handle, and join in on the conversation at the official Bar Rescue Facebook page. 3 Ball Entertainment is one of television’s most prolific producers of reality and non-fiction programming, both for broadcast and cable. Fully independent, 3 Ball’s current and recent series include Bar Rescue for Spike; My Cat From Hell for Animal Planet; LA Hair for WE tv; Kitten Bowl and the upcoming Kitten Summer Games for Hallmark Channel; Kingin’ with Tyga for MTV; WWE: Breaking Ground for WWE Network; and Extreme Weight Loss (which also airs as Obese in 130 countries). 3 Ball has additional series in production and development with networks including FOX, CBS, Spike, A&E, CNBC, Food Network, WE tv, MTV, FYI, Z Living and Redbull. Spike TV is available in 91.4 million homes and is a division of Viacom Media Networks. A unit of Viacom (NASDAQ: VIA, VIAB), Viacom Media Networks is one of the world’s leading creators of programming and content across all media platforms. Spike TV’s Internet address is www.spike.com and for up-to-the-minute and archival press information and photographs, visit Spike TV’s press site at http://www.spike.com/press. Follow us on Twitter @spiketvpr for the latest in breaking news updates, behind-the-scenes information and photos."